Get ready to close out the month with shopping al fresco in Alameda. 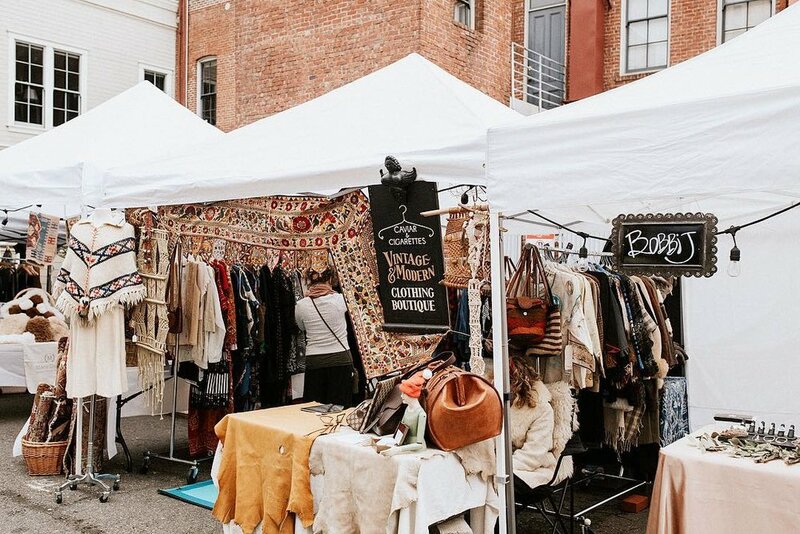 Head West, a roving market that gives new and emerging brands a physical selling space to showcase their wares and talents, is popping up at the Hangar 1 Distillery in the East Bay on Saturday, March 30. The market is the brainchild of self-described creative and small business entrepreneur Jimmy Brower, who curates the experience to bring “the spirit of the modern maker with the ideals of the traveling vagabond to the East Bay of San Francisco.” The latest installation will include more than 50 makers, crafters, and vintage dealers. If you’re thirsty or hungry while you’re there, you can refuel with drinks from Runway Spirits and Revive Kombucha, plus pizza from Lucia’s Pizza Truck. Shopping is going down from 11 am until 5 pm at 2505 Monarch Street in Alameda. For more information, check out headwestmarketplace.com.